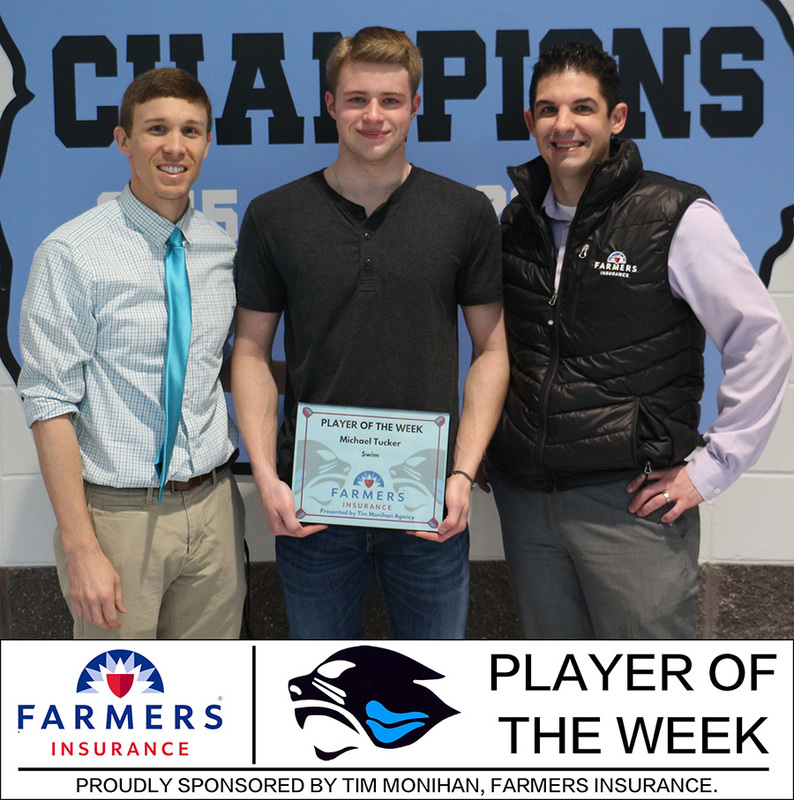 Tim Monihan and Farmers Insurance in Peachtree City presented sophomore swimmer Michael Tucker with the seventh Farmers Insurance Player of the Week award for winter sports. Tucker has qualified for four state events including the 100-yard freestyle with a time of 49.75 seconds. Tucker’s other state qualifying times include 22.46 seconds in the 50-yard freestyle, 56.05 seconds in the 100-yard butterfly, and 2:06.90 in the 200-yard individual medley. Tucker and the swim team head to Georgia Tech for the GHSA State Championships on Feb. 8-9.